When every inch counts, and so does the finished product, you know fluffy bows aren't going to survive an overseas adventure. 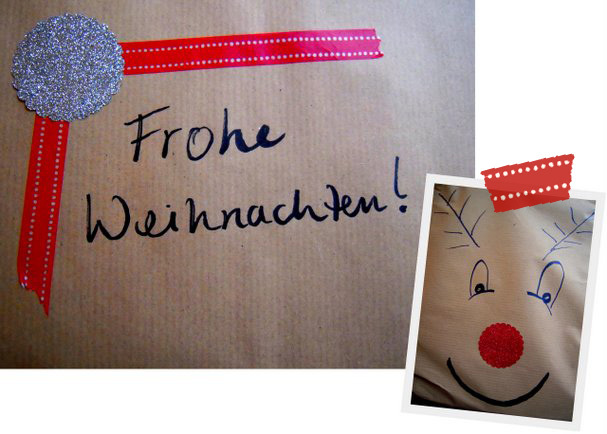 This year I used some decorative paper and fun masking tape to add a little pizazz to my packages. Then I stamped names on the gifts w/my rubber stamps. And because decorating the box is as fun as decorating the gifts inside, I added Rudolph and some holiday greetings to pass along a little cheer along the journey. Bonus: We discovered that UPS is way faster and cheaper than DeutschePost/DHL for our last-minute shipping. We even have a tracking number that goes beyond Germany, phew! Also handy was the fact that they came to our door to pick everything up, meaning no eternal lines at the post office.Yay! Good to know about the shipping. Who would have thought. 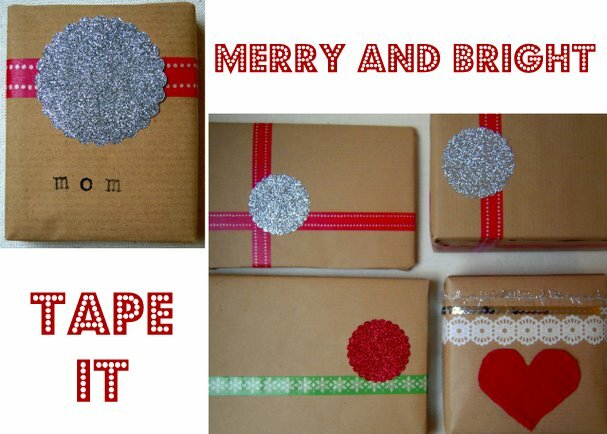 Love your wrapping! ok, did some research and see that UPS is Mailboxes etc. here. Totes using that tomorrow thanks to you. Although my packages dont look as good! 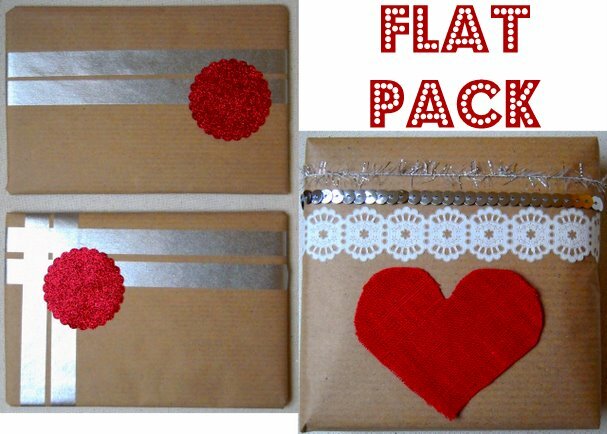 I love your simple but so beautiful wrapping ideas! And your Advent calendar is stunning! Have a nice Christmas!